One of our artist bios typically runs between 500-1,000 words. It communicates your background and career milestones in a polished, professional format designed to elicit an emotional response in each reader. In addition, we will also provide a much shorter version of your bio for use in SoundCloud info sections and other placements that call for brevity. Check out our full portfolio of bios here. Don’t let our name fool you – aside from artist bios, we can write copy for any brand with a message to convey. As a matter of fact, most of the permanent content on the Beta Nightclub website was one of our first commissions. Whether you’re an event organizer, talent manager, label boss, venue owner or app developer, you can leave your written verbiage to us. If you already have a functional bio or other manuscript and want to make sure that it looks professional, send it out way! We will tell you exactly how many explicit errors and suggested revisions we find in your copy free of charge, and will let you know how much it will cost for us to make the necessary changes. The electronic press kit (EPK) arranges your artist bio, links and press photos in a visually engaging format. EPKs are an industry standard component of your marketing strategy necessary for you to be taken seriously in the music industry. From digital marketing and web design to management and public relations, djbios is connected to professionals involved in all aspects of the entertainment industry. 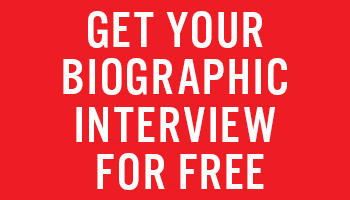 During your “Biographic Interview,” we can advise you on who to reach out to – and if we decide that you’re at an appropriate stage in your career, potentially connect you ourselves.